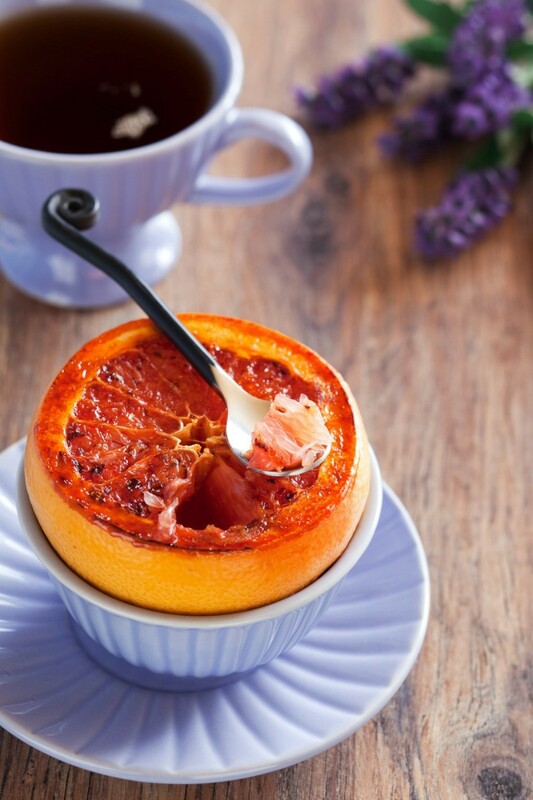 Try broiling grapefruit halves or slices for a delicious fruit side. This page contains broiled grapefruit recipes. Here is a wonderful recipe for those who love grapefruit. After rinsing grapefruit under running cold water cut it in half. Using a very sharp paring knife, cut through each section just enough to leave the sections intact. Spread about a 1/2 tablespoon of sugar on each half & sprinkle brown sugar on top. Broil under the broiler until lightly browned. Watch closely. I hope you adore the taste as much as my family & friends & I do. Happy eating.